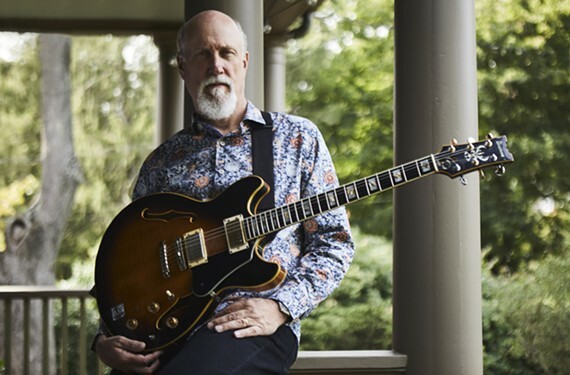 Guitarist John Scofield talks about his musical education, playing style and new combo | Music | Style Weekly - Richmond, VA local news, arts, and events. One of the great electric guitar players of the last half century is also one of the hardest to pin down easily. While John Scofield's sinewy electric sound is distinctive, unlike his contemporaries Pat Metheny and Bill Frisell, he never carved out an iconic stylistic niche, instead skipping from genre to genre, straight-ahead post-bop, to funk, blues, R&B and country. Like a great character actor, a Robert Duvall or J.K. Simmons, whatever the setting, you always know it's him and he always seems perfect for the part. "In high school, like a lot of kids in the '60s, I was into guitar," Scofield explains. "At first it was the blues, the real deal. I lived in Connecticut and would take the train to go to clubs in New York City. When I was 16 or 17, I wanted to learn jazz, but I didn't know anyone. So, I went up to Berklee in Boston, and that was the first time I was around a bunch of kids who could play. Pat Metheny, Joe Lovano, we were all young there together. There were also great players on the faculty, Gary Burton, Alan Dawson, Steve Swallow, and others who are not so famous." 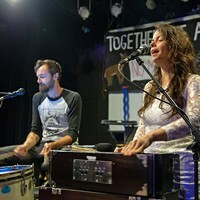 Berklee was more about connections than credentials. "I only lasted two years," he says. "In those days, if things worked out, you didn't graduate, you ended up on playing in someone's band." Scofield now teaches about a week a month at New York University but sees formal education as only part of the equation. "A degree is nice, and it's good to be around great musicians," he says. "But to play you have to put in the time alone, practicing. It's good, I like it because I still have to do a lot. Anything that demands finesse goes away quickly." "It is all about the sound of the string, the articulations, the different sonic things that happen after you hit a note," he says. "An A or E is the same note if you are playing electric, acoustic, banjo or mandolin. It is all about getting that string to do something. The tone in an electric is generated in a different way from an acoustic. Of course [the electric] is really loud, but it is more like a horn, a vocal sound. You need to deal with the amp and putting it all together. You have to tame it." The result is inevitably highly personal. "We all have our own vocabulary, like a language, with notes not words. You are incorporating these basic references without just playing licks. You try not to just play licks, but who you are and what you have learned. You have your own sound if you like it our not. It's like when a friend calls you up and you immediately recognize their voice. It's the same thing with a musical instrument." Early in his career, Scofield used a lot of processed effects. They provide a rich choice of timbre and texture, but in recent years he has let the organic, percussive sound of the playing shine through. "Now my leads are more in the string, the vibrato, the bending and shaping of notes. It's done more with fingers than electronics." It's an approach that meshes with Scofield's broad musical tastes. "I am a big fan first," he says. "I don't sit around thinking what my music is going to be. I'm always listening to the greats of yesteryear. 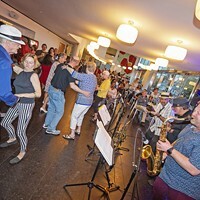 Bebop, older swing, free jazz from the '60s, country singers and songs. Now you can access everything, and there is so much music." He says his latest band, named Combo 66 after his age the year it was formed, is the best he could have. 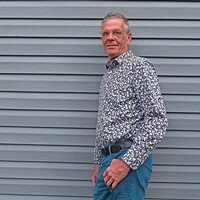 The drummer, Bill Stewart, has been a collaborator for decades. He's known 30-something keyboardist Gerald Clayton, the son of great bassist John Clayton, since the former was in high school. He calls Vincente Archer "a fantastic upright bassist, very creative and experimental." "We have been doing this music for so long, we are really good at it," Scofield says. "Every night is different. Part of the beauty is the surprise we are all going for. Don't tell anybody, but we might do it for free." John Scofield plays Modlin Center's Camp Concert Hall at 7:30 p.m. on Saturday, April 13. Tickets cost $45. Peter Solomon from WCVE is doing an open interview with the band at 6:30 p.m.